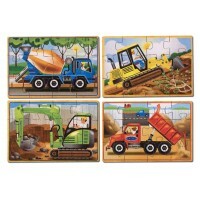 This charming wooden farm truck puzzle from French toy company Vilac is the ideal first puzzle for baby. 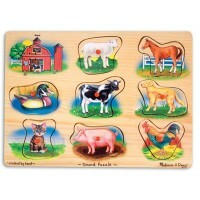 The puzzle features 5 colourful chunky wooden farm animals including a pig, chicken, sheep, horse and cow for little ones to match to the cut outs in the truck. 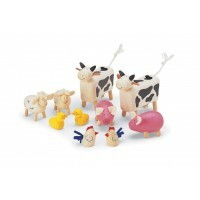 Each of the cut outs shows an image of a baby version of the animal to help little ones match the correct one.